Everyone seek the winning formula for life, for marriage, for academics, for career, and for business. Even the age-long winning formula of hard work has been rubbished in the turbulent uncertainties of life. Studies have been carried out and books written by highly respected academia proposing success tips. However, more often than not, these tips fail. Although, life is one big, daunting challenge, there must be tucked somewhere a surefire way to make success out of it. Here enters Professors W. Chan Kim and Renee Mauborgne with a twentieth century masterpiece titled Blue Ocean Strategy and sub-titled: How to Create Uncontested Market Space and Make the Competition Irrelevant, a book for the future. Cultured over years with the indepth study of over 200 companies across climes and continental boundaries, Blue Ocean Strategy seeks to understand why some companies become successful in an industry that is heavily contested and most times had been written off as unprofitable. These companies’ ability to succeed in a highly contested market space was termed Blue Ocean Strategy which is the capacity of a company to deviate from the norm of competitiveness challenging their market space and seek new market outside of the clogged market space. The book is divided into three parts with nine chapters. Part one explains Red Ocean and Blue Ocean strategies and the expedient need to undertake a strategic shift from the former to the latter. It also proffers tools for understanding Blue Oceans. Part two is a detailed study on how to create an ideal Blue Ocean Strategy and test its viability against some standard parameters. The third and final part is execution of the Blue Ocean Strategy and helps on how to resolve bottlenecks that will be associated with this execution. Spiced with real business experiences of companies’ fight to break free from the conventional which Red Ocean swim in, Blue Ocean Strategy is a must read. The old, cutthroat, heavily contested market space is termed Red Ocean. The different strategies employed to stay ahead of the competition and therefore secure their market share or acquire the market share of their competitors is referred to as Red Ocean Strategy. Due to quick imitation of technological and/or business improvement, there is a rising imperative for creating Blue Oceans. These Red Ocean constraints include; accelerated technological advancement which has resulted in accelerated commoditization of products and services, incessant price wars and constantly shrinking profit margins. Prior to this study, ‘successful companies’ have been studied such as In Search of Excellence and Built to Last. They were studied both in the short run (for Built to Last) and in the long run (for Search of Excellence) and reasons for their success were highlighted and proposed as the key to building successful companies but these success theories were deficient. Most of these so-called successful companies failed within five years of the books’ publication while two-third of the models for success prescribed in those books are no longer relevant. Careful retrospection indicates that many of these companies were successful because the general industry was doing okay as at that time. It was not a case of individual accomplishment. Blue Ocean Strategy is basically the creation of new market space. It preaches dipping into uncontested market and tapping untapped customers. Here the competition is not the benchmark and so is relegated to the background. In Red Oceans, Industry boundaries are defined and the rules guiding the game are standard and unchangeable but in Blue Oceans the strategy is different. Blue Ocean creation is not new. A century ago, half a century ago, two decades ago and even a decade ago there are industries that are present now that were unknown then. Examples abound; space navigation, telecommunications, internet, social media and social networking etc. These are Blue Oceans created out of already surfeited Red Ocean industry. Now what happens when we create Blue Oceans compared to Red Oceans? Red Oceans business trends were merely extrapolations of existing market space. Although they captured 86% of the market they only accounted for 62% of the revenue while their profit (revenue minus expenditure) was just 39%. In comparison, Blue Ocean launch was a mere 14% of the total derivable consumption. Their revenue impact was 38% but the profit was 61%. The reasons for the disparity would be seen shortly in the course of our study. But first it is pertinent to note that with little resources application Blue Ocean give much higher profit compared to Red Ocean. What then delineate a strategy as a Blue Ocean strategy? The answer is simple Value Innovation. Value innovation is new way of thinking about and executing strategy that results in the creation of a a leeway into untapped market space and enamors a breakdown from the competition. Although, Red Ocean Strategy hypes cutting-edge, modern technology and timing for market entry as key but most times they are not. Value Innovation is and it occurs when companies align innovation with utility, price and cost reposition. Comparing Red Oceans against Blue Oceans. Compete within a market space. Create uncontested market space. Strive to beat the competition. Strive to make the competition irrelevant. Exploit existing demand. Create and capture new demand. Make the value-cost trade-off. Break the value-cost trade-off. Align the whole system of a firm’s activities with Align the whole system of a firm’s activities its strategic choice of differentiation OR low cost. which is pursuit if differentiating AND low cost. If the Blue Ocean Strategy is the way to go what prevents its adoption and execution? The success rate of Blue Ocean Strategy is lower because Blue Ocean companies venture outside known industry space. However, companies can overcome these by both maximizing opportunities and minimizing the risks associated with the formulation and execution of a Blue Ocean Strategy. Presently, Red Oceans are dominating because the world’s economic dynamics and tools are designed more for a Red Ocean world than for a Blue Ocean’s. CHAPTER 2 – Analytical Tools and Framework. In drawing up the model analytical tools framework for Blue Oceans, the authors used a classic Red Ocean industry as example. This was the U.S wine industry. These analytics have been in their ‘research and development’ for 10 years and are meant to fill the void in strategy. (i)	The U.S is the third largest wine consumer in the world. (ii)	The U.S wine industry is valued at $206m and is very competitive. (iii)	California wines dominate with about two-third share of the market. (iv)	The U.S wine market competes intensely with other foreign wines. (v)	Although there is an increase in supply, demand remains the same therefore eating into the realizable profit? (vi)	The U.S is the 31st place in the world with per capita wine consumption. (vii)	Eight companies produce about 75% of the wine consumed in the U.S creating a subtle monopoly. Monopoly impedes entrance of new wine producers. With these discouraging facts, how then can a new company enter and survive in this Red Ocean of bloodied business environment? The Blue Ocean strategy canvas gives a guide. However, there are seven factors that are over hyped and given consideration in this industry. (v)	The prestige and legacy of the vineyard. (vii)	Diversification of wine products. Australian Casella wines redefined the problem by refocusing from competitors to alternatives and from customers to non-customers. They discovered that the complexity associated with the tastes of wines and their labels made U.S adults see wines as parochial and as turn-offs. They were as intimidating as they were confusing. Casella Wines followed a four-action model that have been promoted by the authors. (i)	Elimination – which of the above seven factors when eliminated could be beneficial. (ii)	Reduction – which of them should be reduced below present industry standard. (iii)	Increase – which of them should be increased. (iv)	Creation – which new factors should be created to give new value. Creation – Casella Wines created a social drink within the reach of the average U.S adult, turned it into fun and adventure with ease of selection and drinking. Elimination – the huge cost outlay involved in marketing the products, aging quality and enological terminology are items that do not have any positive impact on the profit of the product and so were penciled down for elimination. Reduction – the range of wine products that a company produces and the dark shadow of complexity associated with wines were identified by Casella wines as items to be reduced. Increase – Price was increased because the company saw that the average consumer would not mind paying a little bit more for this type of wine that suited him or her and shifted their focus from alcoholic beverages to wines. (i)	Focus – is the strategy directed towards where the company is headed? (ii)	Divergence – Does the strategy break-off from the competition and it’s Red Ocean? (iii)	Compelling Tagline – A tagline is a succinct statement that totally describes what the company aims to achieve. CHAPTER 3 – Reconstruct Market Boundaries. Reconstructing market boundaries was tagged by the authors as the first principle of Blue Ocean Strategy. Now, is there a systematic approach of doing this? (of reconstructing market boundaries) and if yes, is this approach applicable to different industries or is the approach peculiar to a particular industry? The answers are yes and yes. Yes, there is a systematic pattern of reconstructing market boundaries and yes this approach is applicable across different industries. This systematic pattern was captioned Six Paths Framework. Path one: Look across alternative industries. Red Ocean companies tend to define their industries and strive to be the best within the boundaries created. Path two: Look across strategic groups within industries. Red Ocean look at their industry strategic groups microscopically (harping on luxury, technology, economy etc) and then work towards being the best at it. Path three: Look across the chain of buyers. Red Ocean focus on the same buyer groups year in year out, such as the purchaser, the user and influencer groups. They hardly look beyond these user groups nor find how to alter them. Path four: Look across complimentary products and service offerings. Red Ocean industries follow a defined range of products offered by their contemporaries in their industries. There is this recurring tendency to copy and paste success which will eventually dilute the effect its novelty created. Path five: Look across functional and emotional appeal to customers. Red Ocean accepted the industry’s functional or emotional attraction and assumed it should remain so and that it cannot be altered. Path six: Look across time. Red Ocean industries focus solely on the present. They hardly strive to look beyond the now to make decisions. Like what could be obtainable 5, 10 years from now? Will our products still be functional or they would be obsolete? What do we do to make sure we are still relevant in the market in 5, 10 years time? CHAPTER 4 – Focus on the Big Picture and not Numbers. Since we now know the paths to creating Blue Oceans how do we align a strategic planning process to apply these ideas in drawing the company’s strategy canvas to arrive at a Blue Ocean Strategy. Firstly, companies need to break from the innate, industry-driven tendency to compete within existing market space. Red Ocean companies’ strategies are the products of different individual ideas that may make sense when standing alone but when these strategies are all brought together they leave staff confused as to where the company is headed towards. Red Ocean strategy plans are a maze of ideas, figures, facts, budgets and spreadsheets. It is unfortunately a product of far-reaching and highly tasking research, back-breaking board meetings and used up, valuable management time but it, after all, leaves the average worker bewildered. Blue Ocean Strategy solves this basic problem by advising focusing on the big picture using The Big Picture Strategy Canvas which (i) gives at a glance the strategic profile of an industry and the factors that could affect competition within it. (ii) strategically profiles current and potential competitors and (iii) shows the company’s strategic profile how it invest in factors of competition and how it might invest in the future. What do we need to take into consideration when drawing strategy canvas? (i)	Visual Awakening – draw up a comparison between your business and that of your competitor as it is now and see where or which of your strategies need to change. (ii)	Visual Exploration – explore the six paths to creating Blue Oceans. Observe the distinct advantage of alternative products and services. Apply the create, eliminate, reduce and increase rule. (iii)	Visual Strategy Fair – draw up a new strategy now from your field study. Get feedback of alternative strategy from customers, competitors’ customers and non-customers. Use feedback to build the best future strategy. (iv)	Visual communication – compare your ‘before’ and ‘after’ strategy. Support and apply the operational moves that could help transport your company to a Blue Ocean. Focus on the big picture does not exclude facts and figures in spreadsheets but if the big picture could be drawn and visualised then the little details (spreadsheets, numbers and figures) will fall into place. Reaching beyond present market boundaries is the core theme of Blue Ocean Strategy. We know the ‘why’ but what about the ‘how’ to reach beyond the present market space. To do this companies should first breakdown the limitation placed by two Red Ocean conventions. (i)	The focus on existing customers. (ii)	The continued finer segmentation to accommodate buyer differences. Because companies spend more time and resources trying to satisfy a defined customer niche they strive to achieve more differentiation and for each customer they strive to create more differentiation. Companies should rather spend that time and energies searching for and acquiring non-customers and we have three tiers they can watch out for. These are (i) soon-to-be (ii) refusing and (iii) unexplored customers. Soon-to-be customers are customers whose bodies are present in the present market but whose spirits are absent because they are looking for better value. However, any jump in value would ensure their continued stay. Improve your value offer! Refusing customers are non-customers who know and need your industry’s product but deliberately decide against it. They need additional incentives to try out your product. Find and add them! Finally, unexplored customers are non-customers who do not know nor need your products. Find them and offer your products in a tantalizing way to them. Choose a tier and start with it. However, some needs of these tiers may overlap and you could take advantage of this to get hold of customers of different tiers. CHAPTER SIX: Get the Strategy Sequence Right. What is this strategy sequence? This is the order for strategy implementation that will give optimum yield and they are Buyer utility + price + cost + adoption = a viable business. If your business idea does not have a noticeably unique and profitable buyer utility then it should be discarded or fine-tuned otherwise the business will go down the drain. But if it does have a profitable buyer utility then the next step is crosschecking this utility with the price. Is the price easily accessible and at par with the utility derivable from consuming the service? If yes, check the cost. In comparison with price and profit is it suitable and realistic? Then we check with adoption. Is your business idea adaptable? Can staff make the switch (if the business structure is already existing) or blend in (if new). If all these answers are positively answered then you just got yourself a viable business. Since buyer utility seems key and the first item in the line of the sequence how then do you know if/when you have an exceptional and viable buyer utility? Here comes our 6 utility levers as prescribed by Professors W. Chan Kim and Renee Mauborgne. If you want to check the viability of your buyer utility put it up against these levers (i) Purchase (ii) Delivery (iii) Use (iv) Supplements (v) Maintenance and (vi) Disposal. (i)	Purchase – How long does it take to purchase these items? What is the ambience, security and accessibility of the place of purchase? 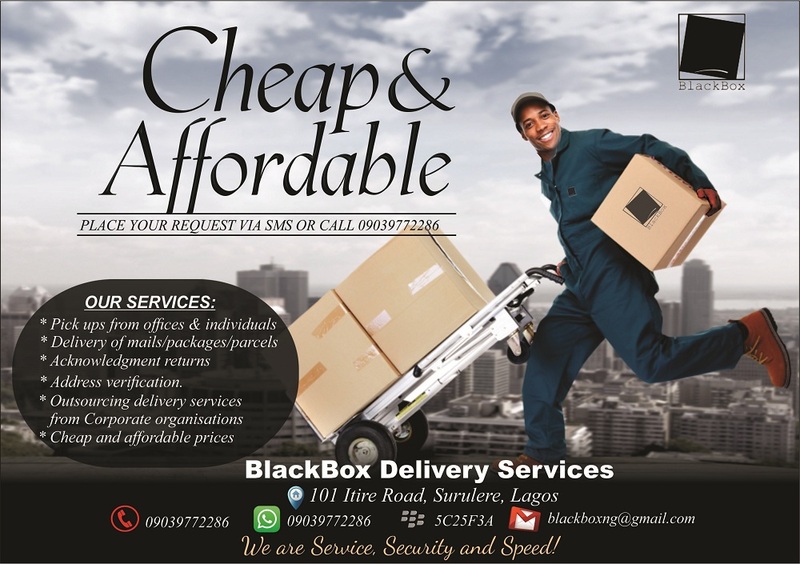 (ii)	Delivery – What is the average time for delivery? Ease of unpacking and installation and what is the level of difficulty for customers to do delivery, installation and unpacking themselves. (iii)	Use – What is the ease of usage and the level of expertise required for seamless use? What are the needs for storage of product, efficiency of product features and functions and delivery power of the product? (iv)	Supplements – Do we need other products in addition? If yes how costly? What is the duration, amount of pain and ease of obtaining these supplements? (v)	Maintenance – What is the requirement for maintenance and what upgrading does the product require, what will its frequency and cost be? (vi)	Disposal – Ease of disposal is key and are there any implication with disposal (legal, financial, environmental etc) and cost of disposal. Impediments to buyer utility were however listed as productivity, simplicity, convenience, risk, fun and image and environmental friendliness of the product. CHAPTER SEVEN: Overcome Key Organizational Hurdles. (i)	Cognitive – This is a strategic shift from the routine to the new. (ii)	Limited Resources – which always undergo more budgetary cuts. (iii)	Motivation – to move fast and break free from the usual. (iv)	Politics – Present anywhere that people are and that decisions have to be made. What do we employ to overcome these four challenges? Tipping Point Leadership. This is the product of concentration of energies on the critical mass of the people to create an epidemic movement towards the realization of an idea. It hinges on the insight that fundamental changes can happen quickly. Points to note in Tipping Point Leadership are (i) What acts influence a disproportionately positive response in breaking from the status quo (ii) what response from motivating key players (iii) what response to pull down political bulwarks. (i)	Cognitive Change – Red Ocean rely on statistical data which the people cannot relate with but Tipping Point Leaders act on the staff and ensure they get a firsthand view of the harsh realities of their present Red Ocean. These personal experiences can come from touching, seeing or feeling actual results. (ii)	Utilizing Limited Resources – When faced with this challenge, Red Ocean Strategy recommends either trimming down on your ambitions (which demoralizes already pumped up staff) or seek higher budgetary allocations which will take time and may never be granted. Tipping Point Leaders rather identify hotspots: activities with high potential gain but incomparably low resources allocation, coldspots: activities with low potential gains but with a relatively high resources allocation and horse trading: trading unused resources in different departments. (iii)	Beating the motivational Barrier – through identifying and working on Kingpins. Kingpins are staffs who are great influencers in an organization. Fishbowling – shining the light on these kingpins thereby raising the stakes. Atomization which is the ability to differentiate each staff by their functions to a reasonable unit and doing this level by level upwards. (iv)	Overcoming the political hurdle is done by identifying angels, devils and consiglieres. Angels are people who will gain from the shift. Devils are people who will lose from the shift while consiglieres are politically adept insiders. Different strategies should be tailored to each group. CHAPTER EIGHT: Build Execution into Strategy. (iii)	Clarity of expectation be set that from the word go staff know where they are headed to. CHAPTER NINE: The Sustainability and Renewal of Blue Ocean Strategy. (ii)	Blue Ocean acquires a completely new brand image which is personalized. (iii)	Blue Ocean Strategies imbue a natural monopoly on the Blue Ocean companies. (iv)	Patents/legal permits prevent dubbing Blue Ocean Strategies. (v)	High revenue initially generated gives the company cost advantages. (vi)	Network externalities such as more patrons to the company are incentivizing. (vii)	Imitation require difficult changes to existing structure. However, a time will eventually come when all of these barriers will be broken down one by one and the sharks of the Red Ocean will come calling, then you need to value innovate which is the beginning of the Blue Ocean cycle. Excellent and concise write up. Simplifies and yet amplifies a well written book.